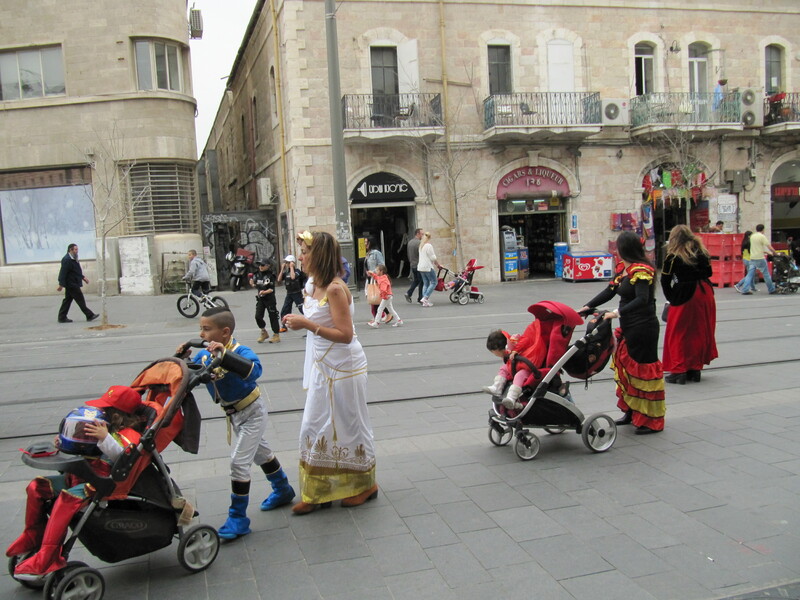 Yesterday was Purim in Jerusalem, one day later than in most other places because Jerusalem is a walled city. 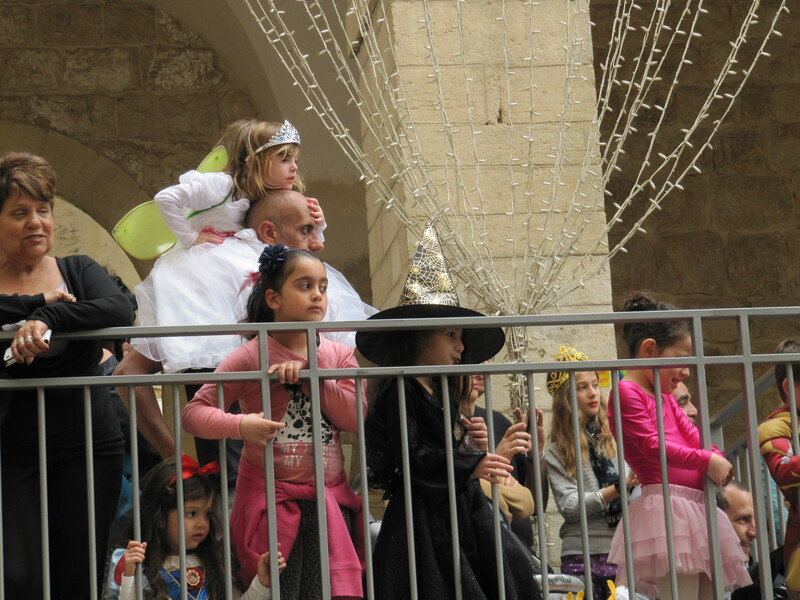 Purim is the festival for fancy dress. It commemorates the time, in the ancient Persian Empire, when the Jews were going to be exterminated but were saved in the end. 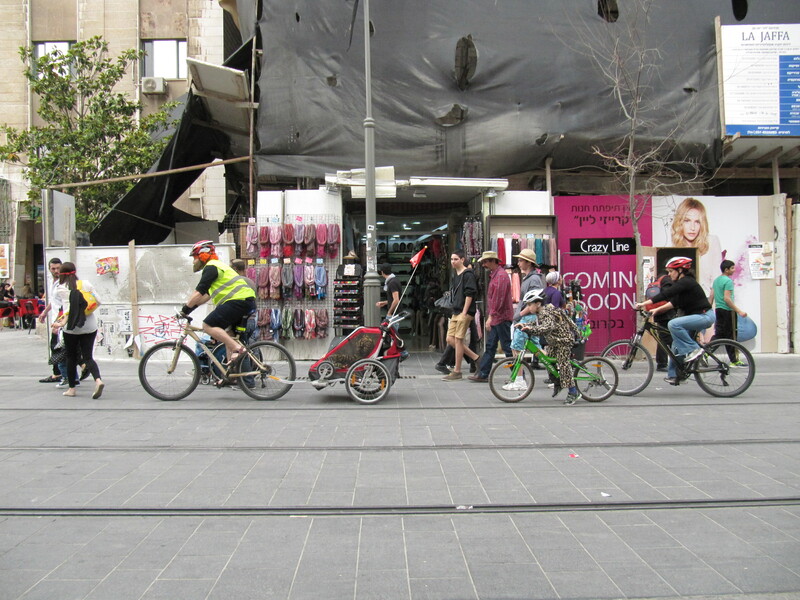 In the walled city of Shushan, fighting continued through the normal day of Purim. 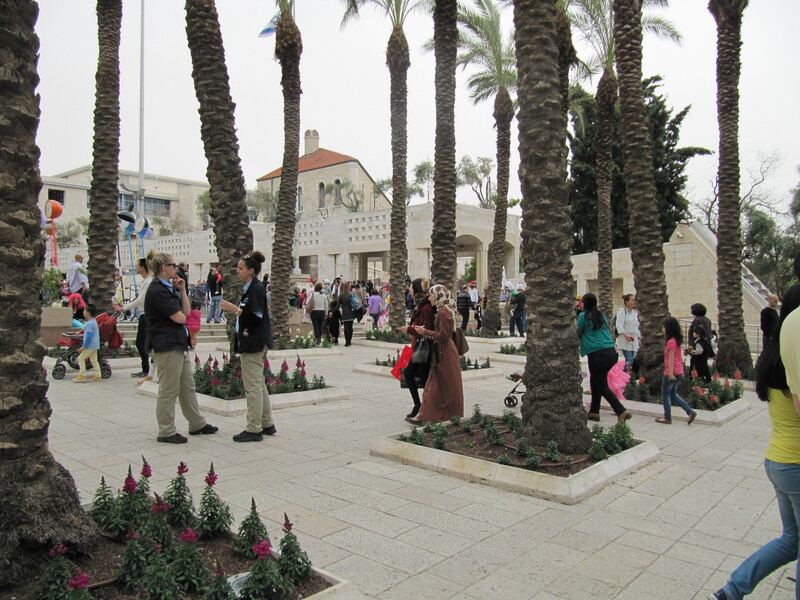 Hence the later celebration in Jerusalem and a few other walled towns. I went out to survey the scene. Fortunately it wasn’t raining, although the sky was rather grey. 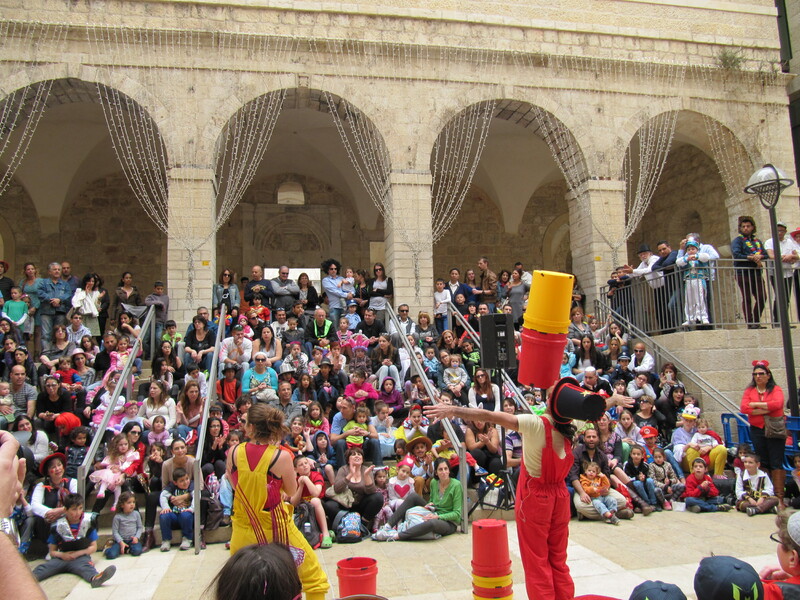 Children and parents watched a show. 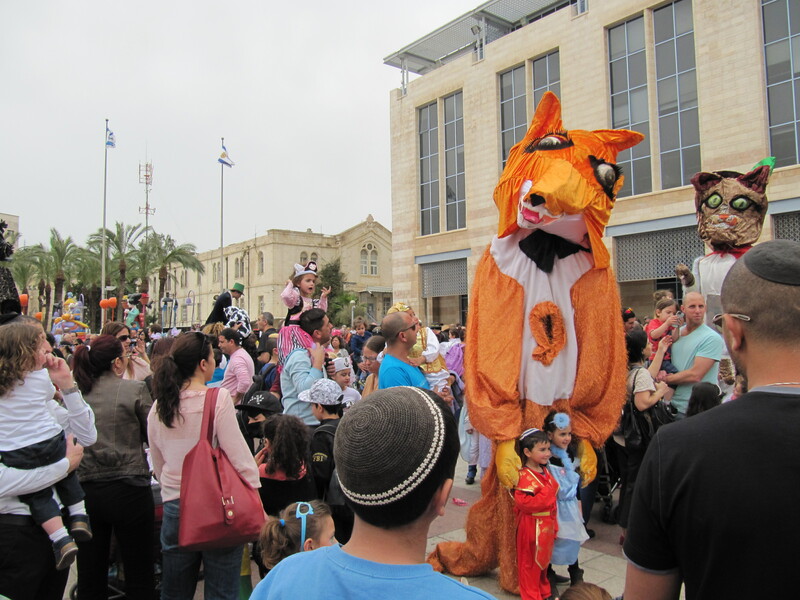 In Safra Square, a dubious-looking wolf towered above the crowds. 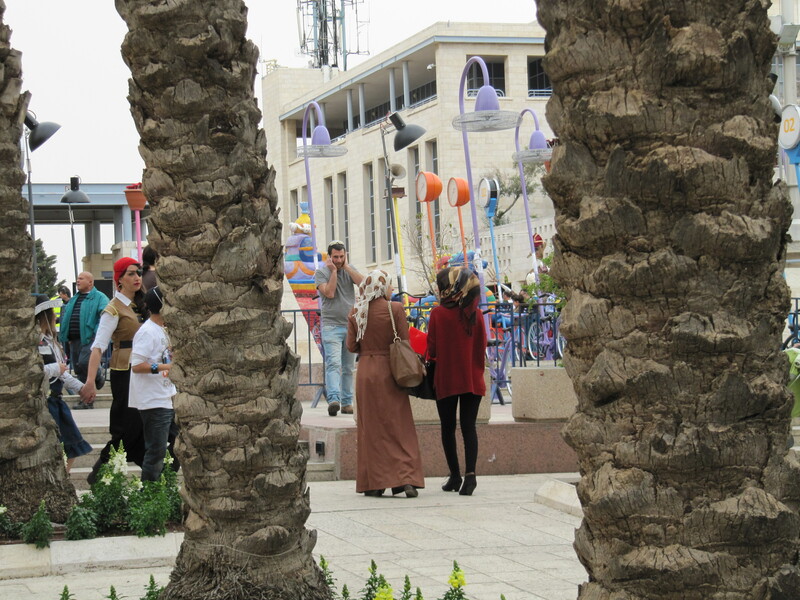 As I was leaving, I saw two Arab women going in to watch. I wouldn’t have taken any notice of them, but I know people who don’t live here would probably be surprised. Even babies were dressed up. 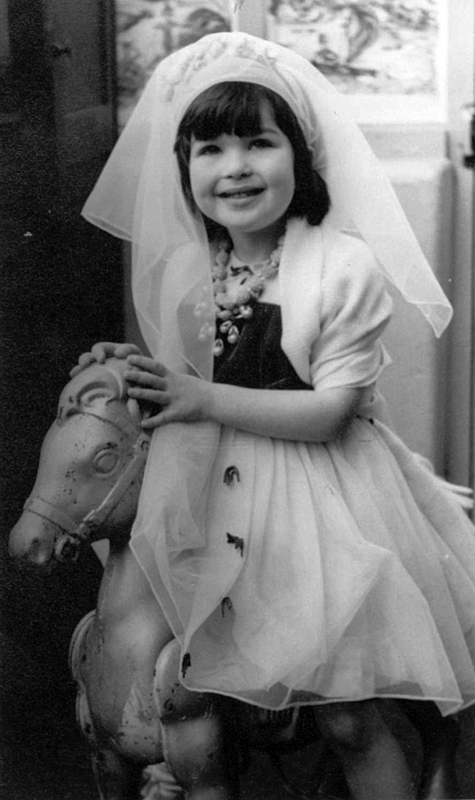 I also looked back a few years and pulled out this picture probably taken when I was four. I’m dressed as Queen Esther, who helped to save the Jews of Persia. I don’t really remember dressing up then. But I remember that horse. It was the best part of the kindergarten. Every time the toys were brought out – usually outside in the playground – I rushed to bag that horse and loved bouncing up and down on it. It didn’t move much, but it did move forwards and I loved it. What I notice most about this picture is how short I was, although I’m not short now. Short, young and innocent. A recipe for trouble. 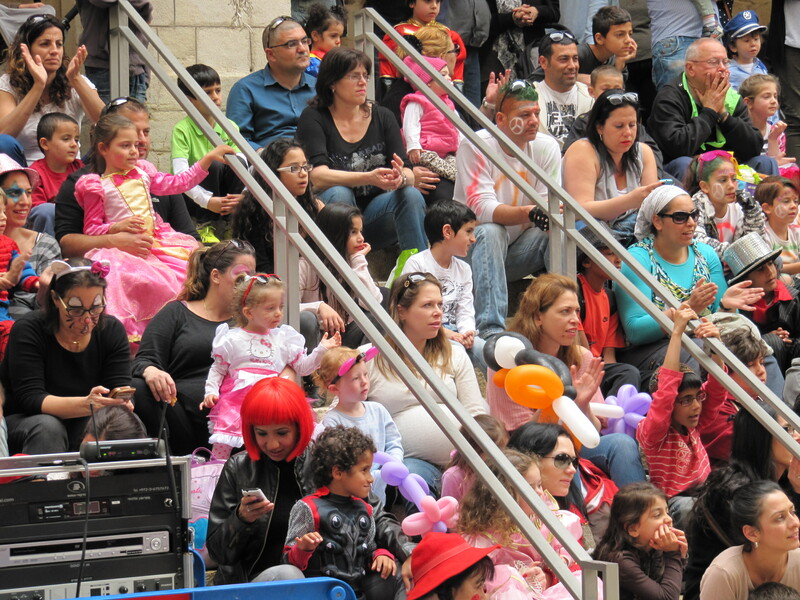 The end of Purim marks the start of a month of spring cleaning leading up to Passover. Somehow, I always put it off until I find myself in a panic. Will this year be any different? I doubt it. Lovely photos! You are very recognisable in that first photo. I know – I’ve hardly changed. Not sure if that pleases me or not! 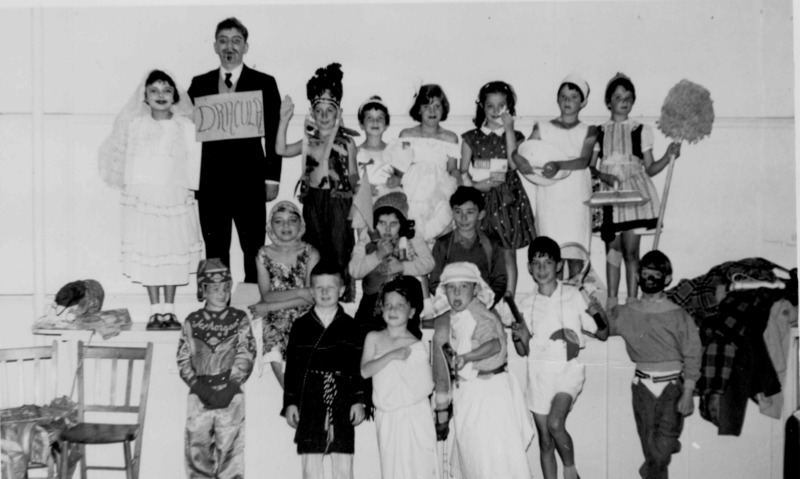 What great photos – and what fun you had!! I did. I also celebrated again in the evening at folk dancing. 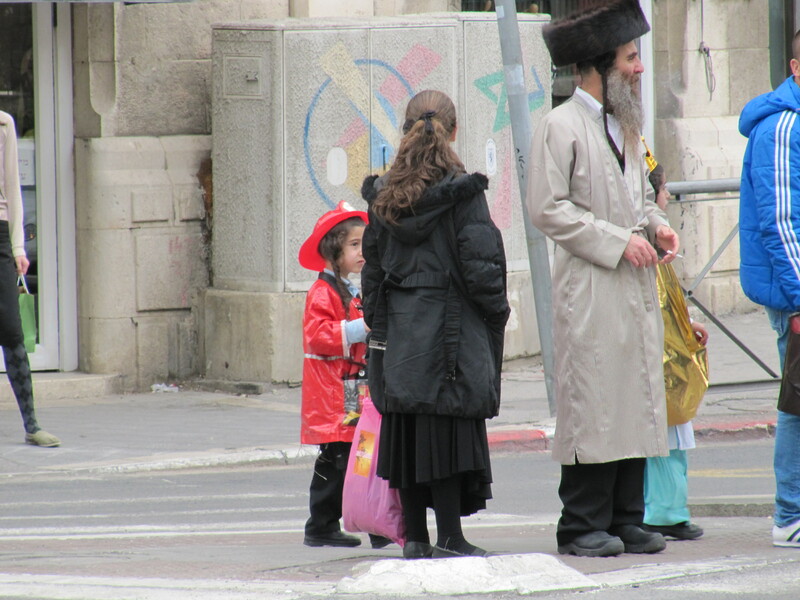 In the UK we never used to dress up much for Purim. 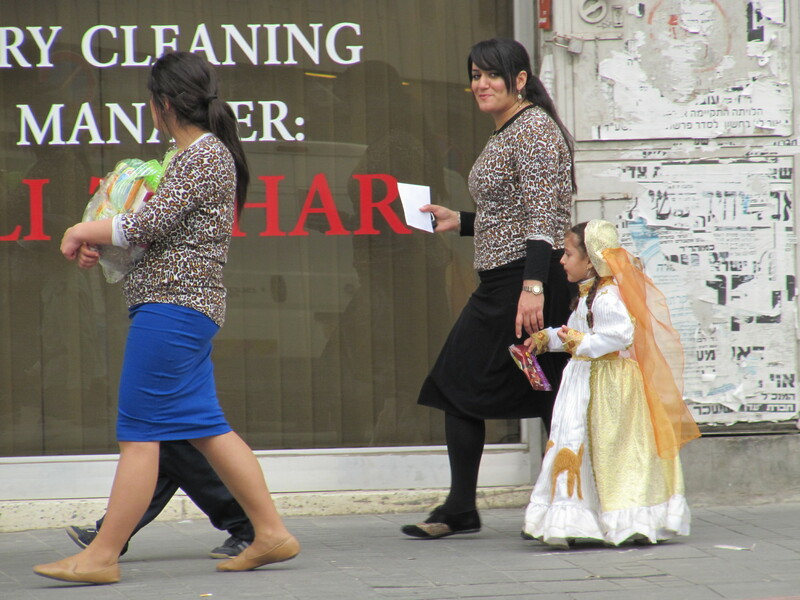 As a child all the girls wanted to dress up as Queen Esther but never did I see adults dressed up. Now it’s almost as crazy as those pictures in places like Manchester. although you’re not short now, you would have been short at school because you would have been one of the youngest in the group. Do you think that might have had some influence on your development of SA?